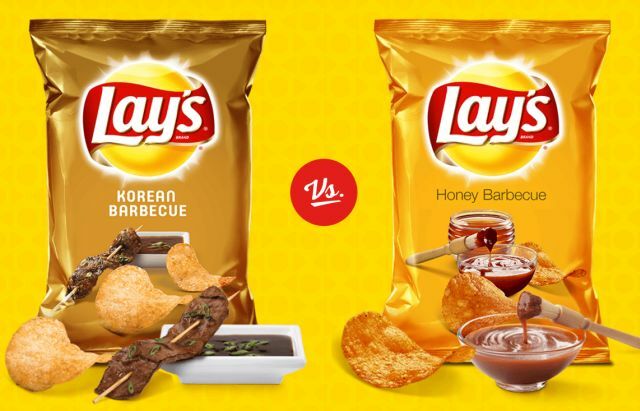 Earlier this year, Lay's asked consumers to vote between four classic flavors and four new flavors and decide which ones would say and which ones would go. They called it the "Lay's Flavor Swap." Well, the results are in and it was a clean sweep for the classic flavors: Lay's Flamin' Hot, Lay's Cheddar & Sour Cream, Lay's Honey Barbecue, and Lay's Kettle Cooked Sea Salt & Cracked Pepper. Soon to disappear are the new flavors introduced for the contest: Lay's Fiery Roasted Habanero, Lay's Smoked Gouda & Chive, Lay's Korean Barbecue, and Lay's Kettle Cooked Olive Oil & Herbs. So if you liked any of them, you might want to stock up while you can.